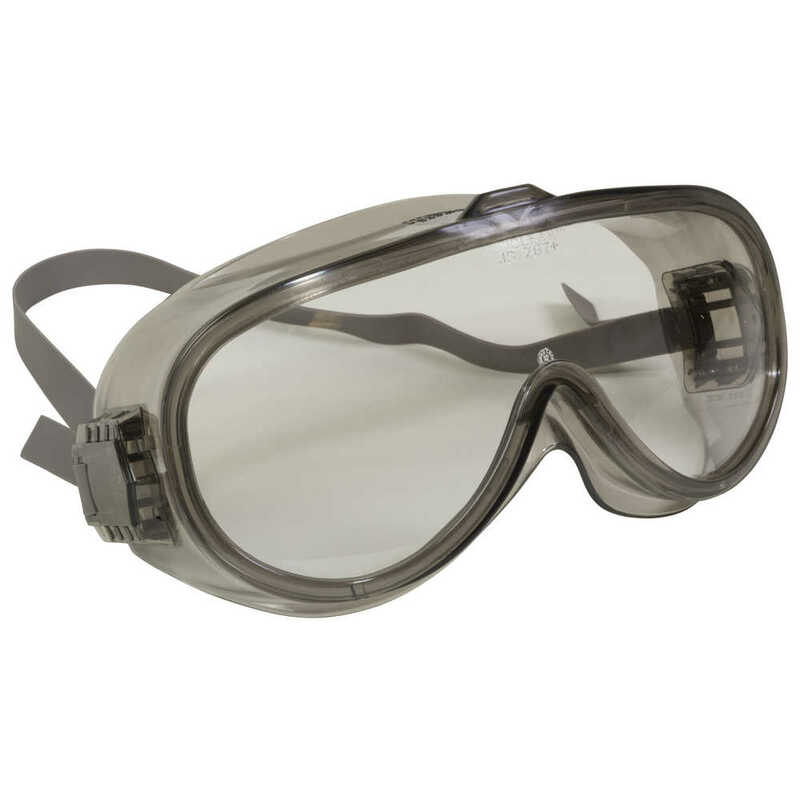 Jackson Safety V80 MXRV Safety Goggles give you and your workers reliable splash protection in an unventilated design. These splash goggles have a simple, sleek design and a curved lens for an enhanced vision field, while being roomy enough to fit over most prescription eye glasses. The lenses are clear (with a smoke-colored frame), making them ideal for indoor use and maximum light transmission; they also feature an anti-fog coating for humid environments and temperature variances. The polycarbonate lenses provide 99.9% UVA/UVB/UVC protection. The splash safety goggles meet the ANSI Z87.1+ standards for impact, with a D3 rating for droplet and splash protection.